BBC Three HD and CBBC HD have now commenced testing on satellite ahead of next month's expected launch. The two channels, which timeshare with each other, are now testing on the Astra 1N satellite (manual tuning information below). The commencement of these tests follows Friday's appearance of test transmissions for BBC Four HD and CBeebies HD. Currently, the tests are showing programmes upscaled to HD. 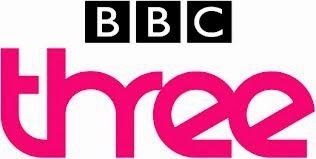 Placeholders for BBC Three HD and CBBC HD appeared on Freeview HD channels 105 and 73 respectively last month, where the services will take over the bandwidth currently used for BBC Red Button HD and the Doctor Who 3D special this weekend. Tests for BBC News HD have not yet commenced, however since the move to Broadcasting House in March, the news channel is already HD ready, and is available in HD overnights on BBC One HD and at 11am on BBC Two HD. The test services can only be manually tuned in via a Freesat receiver in non-Freesat mode or a generic free-to-air satellite receiver. Not manually tunable via Sky boxes. A reminder that these are test transmissions, the availability of the tests on certain receivers only does not necessarily reflect the situation when the channels launch officially.